WWE is advertising an appearance by Vince McMahon for Tuesday's episode of SmackDown. 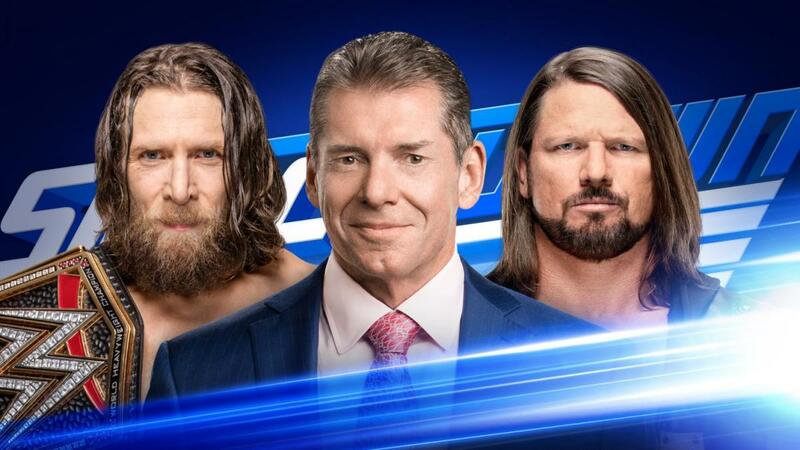 McMahon moderating a face-to-face segment with WWE Champion Daniel Bryan and AJ Styles has been announced for Tuesday's SmackDown. The episode is the go-home show for the Royal Rumble, and Bryan is set to defend his WWE title against Styles at the January 27 pay-per-view in Phoenix, Arizona. In an angle on the Christmas Day edition of SmackDown, Styles punched McMahon after McMahon had slapped him. The story was that McMahon wanted to see the real AJ Styles and was trying to get a reaction out of him. The next week, Styles won a fatal five-way number one contender's match to become Bryan's challenger for the Royal Rumble. Bryan and Styles have brawled with each other on SmackDown over the past two weeks. Rey Mysterio vs. Andrade in a two-out-of-three falls match and Samoa Joe vs. Mustafa Ali have also been announced for Tuesday's SmackDown. The episode is taking place at INTRUST Bank Arena in Wichita, Kansas.